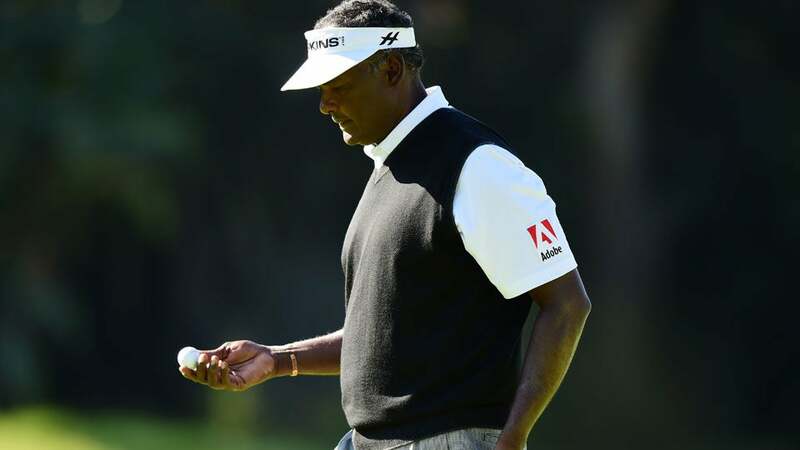 Vijay Singh admitted to using deer-antler spray, a substance banned by the PGA Tour. A three-time major winner is turning into a major headache for the PGA Tour. In a memorandum filed with the New York State Supreme Court on Tuesday, Vijay Singh accused Tour officials of subjecting him to "absurd" and "unfair" treatment by ignoring the use of deer antler spray by five other professional golfers playing on the PGA Tour and the Champions Tour and then lying to the public by "characterizing Singh as a cheater who caught a break." According to Singh, discovery revealed that five golfers, identified anonymously as Golfers A, B, C, D and E, admitted to the Tour as early as 2010 or 2011 that they had used the same spray as Singh but were not sanctioned under the Tour's anti-doping program. In 2013, The Tour announced its intention to suspend Singh for 90 days following his admission to Sports Illustrated that he had used the spray, which contained trace amounts of the banned growth hormone IGF-1, but quickly lifted its suspension when the World Anti-Doping Agency determined the product didn't contain enough of the hormone to be performance-enhancing. Singh sued the Tour, contending that the announcement damaged his reputation, leading to the loss of his longtime endorsement deal with Cleveland Golf. Singh's lawyer, Peter Ginsberg, claimed that the Tour's legal strategy attempts to rewrite their rules to cover their own tracks. "Knowing it needed to rationalize this obvious disparate treatment of Singh, the Tour during the course of this litigation attempted to justify its arbitrary treatment of Singh by claiming that other golfers who had used the SWATS products played on the Champions Tour and the the Program does not apply to Champions Tour golfers," Ginsberg wrote in the memorandum. The PGA Tour could not be reached for comment. While the Tour contends that its officials merely followed evolving WADA guidelines, Singh accused Commissioner Tim Finchem of lying when he pinned the Tour's decision to withdraw its anti-doping case against him on a change in WADA policy that "clarified that it no longer considers the use of deer antler spray to be prohibited unless a positive test results." Singh contends WADA did no such thing, citing testimony from WADA's science director that WADA's position on deer antler spray hadn't changed in several years. That accusation may not have sat well with the Commissioner. "As a mirror into his mentality, Commissioner Finchem under oath in discovery in this litigation was asked to explain his multiple, false and misleading public statements about the Singh matter," Ginsberg wrote. "Remarkably, Commissioner Finchem refused to respond to the questioning about whether WADA ever changed the list or why he told the world that WADA had changed the list, and, instead, stormed out of the deposition, and refused to return." According to Sports Illustrated legal analyst Michael McCann, these documents offer a preview of what a trial might look like should settlement negotiations break down. "Singh is now signaling which set of facts he believes are most crucial to his case," McCann said. "His argument that he is treated differently, I suspect, would be highlighted in a trial because, if true, it would help him show that the process was not fair." Ginsberg told GOLF.com the Tour's treatment of Singh was the result of organizational failure that raises questions about the way the Tour conducts its business. "As detailed in the filing, the PGA Tour's bogus rationalization for treating Vijay differently than it treated multiple other players, and then Commissioner Finchem's unwillingness to remain in his deposition and explain why the PGA Tour ignored WADA's guidance about the Spray and then misled the public, speak volumes about the golf organization's conduct and failure to fulfill its duties and obligations. Either the PGA Tour was woefully ignorant or woefully arrogant, but, either way, it was woefully irresponsible and Vijay suffered as a result."